An outstanding, self-motivated and energetic marketer who has excellent leadership skills, strategic ability, operational efficiency and sound business principles. Has an impressive career in global organizations. Responsibilities include development and execution of marketing plans with above and below the line activities, management and accountability of operating budgets, management of all supplier fees, in line with global parameters. A great brand ambassador who takes ownership and responsibility for categories and brands, their values and developments. Consistently gains the commitment of subordinates by her own work ethic and efficiency. Her energy and passion for delivering outstanding customer service and ability to multi-task makes her a unique individual with a capacity to challenge all options. 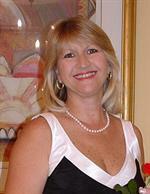 During her impressive sales and marketing career Linda has consistently won awards for top performance. She is a brilliant networker, a decisive decision maker with outstanding interpersonal and negotiating skills. She thrives in a high energy environment which is deadline driven and enjoys coaching and mentoring her team.